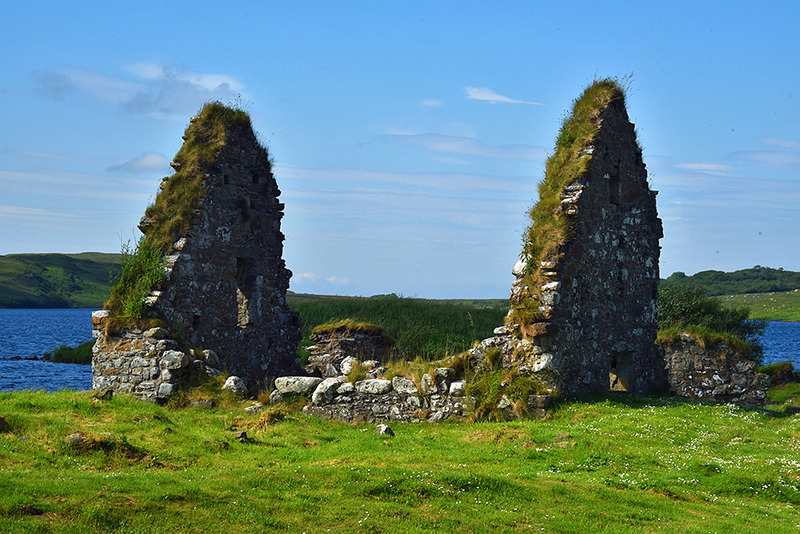 A view of the ruined house at the historic seat of the Lords of the Isles at Finlaggan on Islay. Taken on the same beautiful July morning where I also took the view of the ruin from the air. This entry was posted in Freshwater Loch, Landscape, New Post, Sunny Weather and tagged Eilean Mor, Eilean na Comhairle, Finlaggan, Islay, Loch Finlaggan by Armin Grewe. Bookmark the permalink.